Early diagnosis is an integral part of comprehensive cancer treatment. 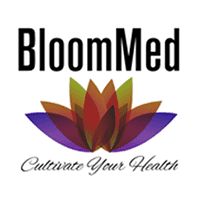 At BloomMed, LLC in McKinney, Texas, Dr. Stephanie Cudjoe offers various cancer screenings to protect your health. Regular screenings give you the advantage of catching cancer in its early stages, so Dr. Cudjoe can refer you for treatment as soon as possible. To learn more about the benefits of cancer screenings, schedule a consultation online or by calling the office directly. Which cancer screening services are available? Dr. Cudjoe also offers comprehensive testing for osteoporosis, a bone disease that occurs due to a loss of bone mass. For any diagnostic screening, you must come into the McKinney, Texas clinic. Dr. Cudjoe doesn’t perform screenings during home visits. Which cancer screenings do I need? Dr. Cudjoe carefully evaluates your family history of cancer to determine your risk. She also performs a full physical, checking for early signs of cancer or other abnormalities. If she determines you’re at increased risk for cancer, Dr. Cudjoe may perform cancer screenings and can refer you to a specialist for further treatment. For instance, in colorectal screenings, Dr. Cudjoe can perform in-office blood work then refer you for a colonoscopy for further testing. If you’re a smoker, Dr. Cudjoe may recommend lung cancer screenings to assess your lung health. 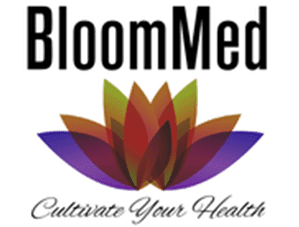 Breast examinations and Pap smears are also available in the McKinney office. Dr. Cudjoe manually examines your breasts and may recommend a mammogram if she detects any abnormalities, or if you’re over 40 or have a family history of cancer. Pap smears involve collecting cervical cells during a pelvic exam. Abnormal Pap smear results may require additional testing. For prostate and testicular cancer screenings, Dr. Cudjoe can perform in-office blood tests and may refer you to a urologist for further treatment. What screenings are available for osteoporosis? Dr. Cudjoe may recommend a bone density test to screen for osteoporosis, a condition that can lead to weakened bones that fracture or break easily. Bone densitometry (DEXA) is a noninvasive test considered to be the most accurate for diagnosing osteoporosis. It involves a series of enhanced X-rays that are useful in determining how much mineral remains in your bones, especially, your spine, hip, and wrist. The test is painless and noninvasive. If you need additional treatment or testing for cancer or osteoporosis, Dr. Cudjoe can work with you every step of the way to ensure you're receiving the care you need. Schedule a consultation to learn more about cancer and osteoporosis screenings using the online booking feature or calling the office directly.